The Danish / Latvian airline, Primera Air has filed for bankruptcy after ceasing operations at midnight on Monday. The airline had been operating for 14 years commented that a series of unforeseen events had affected their finances. 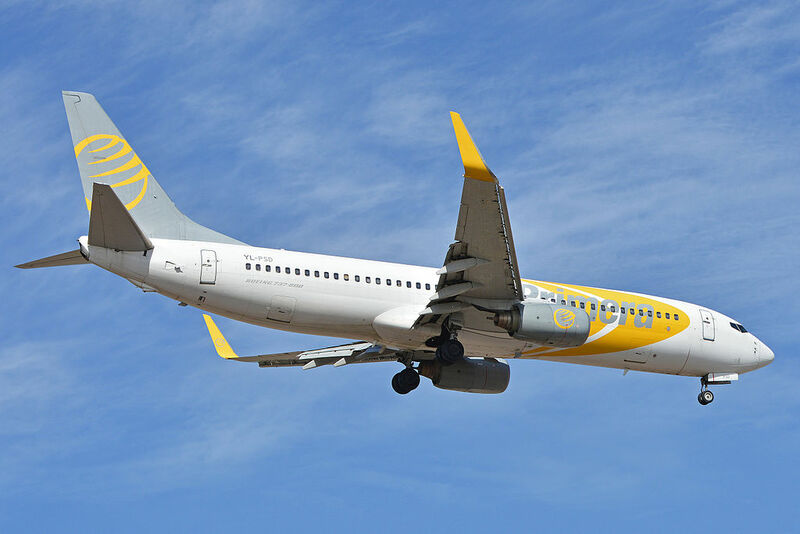 Norwegian have offered affected Primera Air passengers repatriation fares at a 50% discount excluding taxes, subject to availability, until the 14th October. A recent study completed by C Space placed Jet2 in 5th place out of 1,000 companies. UK consumers were asked to name companies that understood them and appreciated loyalty, amongst other questions. Disney were rated 8th and Virgin Atlantic 9th. Jet2holidays have increased their ATOL license from 2.94 million to 3.8 million passengers for the next 12 months. This increase of around 800,000 passengers, strengthens their position as the second largest tour operator in the UK. Tui remain in top place at 5.68 million and Thomas Cook in third place with 2.47 million passengers. Singapore Airlines have the record for the world’s longest flight of 9,534 miles, taking 17 hours and 52 minutes from Singapore Changi to Newark. The flight had 150 passengers and 17 crew members on board and Airbus A350 Ultra Long Range. Without economy the aircraft has 94 premium economy and 67 flat beds in business. This route will operate 3 times a week on Monday, Tuesday and Saturday. The airline also plans to offer a non-stop route from Singapore to Los Angeles from 2nd November 2018. The Caribbean Public Health Agency (CARPHA) have announced that the World Health Organization (WHO) has removed its Zika virus country classification scheme, which categorised most of the Caribbean territories as having active Zika virus transmission. The evidence is that the Zika virus transmission in the Caribbean had been interrupted for over 12 months, or was at undetectable levels, thereby posing very little risk to residents and visitors to the Region. From the end of March 2019 additional flights will depart on Thursdays and Sundays. Plus during summer 2019 the airline are expected to increase the schedule to a daily service. Bahia Principe Hotels are due to open their new 5* castle themed hotel, Fantasia in Tenerife during November 2018. This fairytale setting promises to deliver fantastic family holidays with 4 swimming pools and a splash park, 5 restaurants and 6 bars on all inclusive basis. Family Master Suites sleep 2 adults and 3 children with sea view upgrade available. The Junior Suites sleep 3 adults and 1 child with sea view, plus the adult only Swim Up Junior Suites sleeping up to 3 adults (over 18 years old). The Navigator of the Seas departed Southampton on the 26th October for a 10 night tour to the Canary Islands, when it was forced to make an unscheduled stop at Vigo for emergency repairs on a stabiliser. Subsequent reports indicate that the ship will depart for the Canaries with a revised schedule of calling at two of the Canary Islands including Gran Canaria (31st Oct) and Tenerife (1st Nov) before returning to Southampton on the 5th November as per the original itinerary.